Purpose and Function: based on academics, vanguard characteristics and constructing artistic value. Today Art Research Institute is one of the owning departments of the Today Art Museum. Its research takes Chinese contemporary art as purpose, develops academics and strives to create a international communication forum. It promotes Chinese art development through academic monographs, journals and art seminars. The artists can cooperate with the museum in many ways to establish their academic standing. The on-going academic projects include Today Art magazine published Feb. 1st and Aug. 1st every year; Today Art Research Series of Books; Today Art Museum Almanac and Image Database Plan. Today Art magazine: sponsored by Today Art Museum since 2004, it is established in Chinese contemporary art circumstance, explores all about the contemporary arts in the global context and manifests academic, vanguard and sensitive qualities and experimenting courage. It has become a large platform for research and exploration, and sharing and communication. Featuring deeply the study on highlighted academic topics in every issue; and meanwhile report the new achievement on art exhibition, architecture, design, music and drama to present shocking effect of visual images. There are the same cultural background and reality between liberation of photographic concepts and emerging of video art. When the photography do not serve as a kind of tool to record any more, the artists started to combine the existing photographic skills with the conceptual art works, experimenting on the media of photography so that the artistic forms begin to diversify. As a result, it led to diversified photographic concepts. The purpose of this book is to collate the photographic works and documents since 1980’s and draw the outline of Chinese conceptual photography in order to supply the reference for further research and analysis. 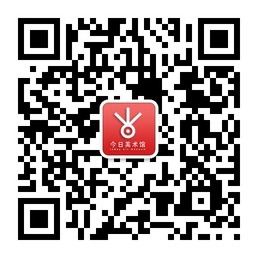 It can help the establishment of Chinese video art collecting system. Installation Art is a new emerging art indicating a crossing exploration between kinds of artistic forms. It entered Chinese contemporary art field in 1980’s. Under the influence of opening policy, many western art forms and theories flowed into Chinese art world. The installation art attracted the Chinese artists with its challenge to traditional arts and vanguard in ideology, and was quickly used in Chinese artistic creativity. Video art rose from the western complex artistic reality in 1960’s. With the advancement of science and technology, lots of western artists affected profoundly the development of Chinese video art through their ideas and the ways to interpret those ideas. During the twenty year of Chinese video art development with three phases included that media exploration and language construction respectively for 10 years, and multiple existences since 2006. Many active artists full of creative enthusiasm developed Chinese video art and expanded its connotation and denotation. Finally, this book lists abundant foreign video artists and their works, besides describing the creativity about fifty Chinese contemporary artists and showing their works aimed to collate the video artists and their documents available and draw the outline of Chinese contemporary video art in order to supply the reference for further research and analysis. As the first private art museum, the Today Art museum will rank in top-grade museums with the functions of collection, exhibition, research, and exchange. To summarize and reflect the achievement on collection, exhibition, research and public education, and present them to the society, Today Art Museum began to compile Today Art Museum Almanac, which was yearly and aimed to sum up the achievement, and contained academic exhibitions, lectures and education exchanges. On one hand, plan research program, arrange academic thought and formulate academic plan. On the other hand, absorb the academic powers in society and invite notable artists and theorists as the participants to guide and coordinate related work. Hope to provide an important historical document for development of Today Art Museum and propose constructive advice for the development of its future. As the first private nonprofit museum of China, the Today Art Museum has been run and constructed with international standard since its foundation from 2002. Several top shows and internationally art exchanging activities have been held with constant improvement of academics and collecting amount of works from excellent artists. In 2011, Today Image Database was planned to be set up in the Today Art Museum. This project will offer a systematic and comprehensive Chinese contemporary image database for the art world, and its purpose is for academic study and spread. Its foundation not only enriches the academic system of Today Art Museum, but also acts as the practice of exploring new mode for museum academic construction. To propose the conception derives from the reality of museum and demands of artists. Using the database to construct academic system will complete the art communicating chain including exhibition, publishing, academics, and education and enable each section within the museum to interact, and thereby, maximize the popularity of museum. Today Video Art Show will start on June 18, 2012( Monday) on the 4th exhibirion hall of Building No.1 of Today Art Museum. Details are shown in the following two tables. Works of the following artists will be shown on Monday, Tuesday, Thursday and Saturday . Works of the following artists will be shown on Monday, Wednesday, Friday and Sunday .